My apartment is all white walls and windows...which, while very nice for summer when you can open the windows and enjoy the breeze, is not very cozy when the temperature drops. So, I'm looking into a few ways to make my place a little bit more warm and inviting now that the nights, and even the days, can be a bit chilly. I have wanted a fireplace for a very, very long time. I grew up with a wood burning fireplace and have many memories of nights around the fire, particularly around the holidays, listening to music and relaxing. Apartment living generally negates the possibility of having a working fireplace. But, since I'm mostly interested in the ambiance, I thought an electric stove might be a nice way to feel cozy. 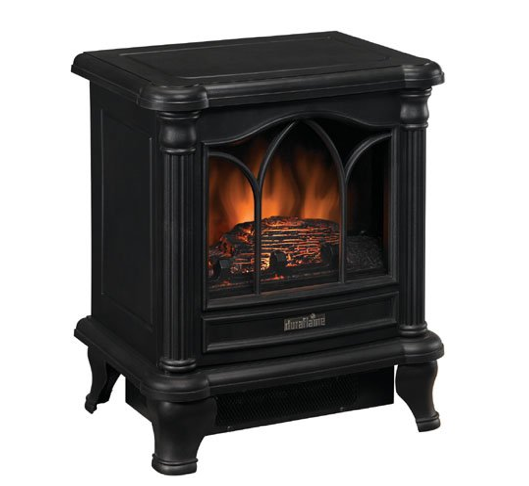 The least expensive stove I was able to find was the Duraflame Freestanding Electric Stove , and it's only $102 with free shipping through Prime. Honestly, I thought it would be a lot more expensive. There are a few others out there, ranging in size and going up to $150 or so. I'll probably end up going with the least expensive one, because who knows how long I'll actually be living in an apartment, but I'm really looking forward to it! If I end up in a place that already has a fireplace, then I can just move this into my bedroom, how cozy would that be? OH, and now I'll have a place to hang our Christmas stockings! I think fuzzy blankets in warm toned colors are key to making a cozy home. 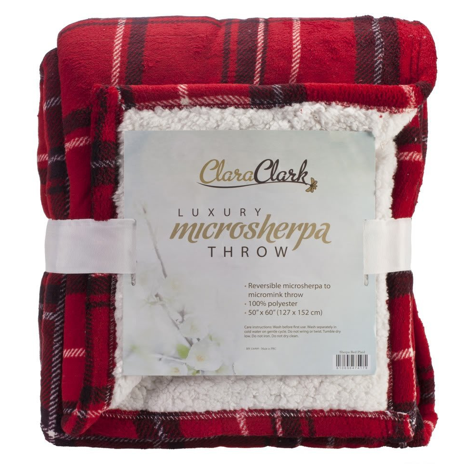 I like this Clara Clark MicroMink Soft Blanket Throw - It's under $20, comes with free Prime shipping, plus it has 102 reviews with 4/5 stars. This All Seasons Micro Fleece Blanket also looks nice, comes in a few difference colors, and is under $25. Flannel sheets are so key when you live in the northeast. Growing up, we always used Northern Nights from QVC sheets, which are great and hold up well. I don't have any flannel sheets at my current place and have been trolling the internet for the cheapest price, because as I've pointed out before, I'm incapable of paying full price for anything. 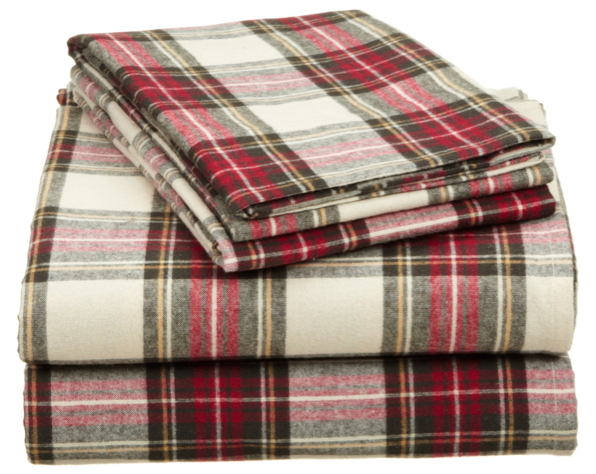 This Pointehaven Heavy Weight Flannel Full Sheet Set is super reasonably priced - $30 for an entire set! - BUT I think the color is pretty ick. I think I might end up getting this Pinzon Flannel Sheet Set . They have some pretty color combinations and the set is under $50 and comes with great reviews. But, I'll keep checking QVC out for good deals! Sometimes you can get them under $25-30, too. But, maybe I'm going overboard on the plaid? I discovered stove top potpourri last year and loved it. It's very, very simple to make and scents your whole home - or at least the downstairs, if you have a two bedroom. I just take a small sauce pan, fill it with water and add an orange cut in half, a few cinnamon sticks, cranberries, and a few cloves. There are tons of recipes for other brews, but I think that's about as classic fall as you can get! Now that I think about it, wouldn't this make a great gift this would be in a pretty jar for the holidays? I can, at least, do something about the smaller windows, which have horizontal blinds. I got Tab Top Insulated Curtains from Sierra Trading Post last year for our apartment in Troy, and they weren't too bad. Very basic, but also reasonably effective and inexpensive. That being said, they're long curtains, so they won't work for my smaller windows here. I think I am going to get these Tie-Up Shade Insulated Thermal Shades . They come in a few different colors, are reasonably cute, and most importantly, won't break the bank. I'm thinking Navy for my living room and Burgundy for my bedroom. Not completely decided though - maybe Turquoise for the bedroom, which would be rather daring for me! The plaid blanket and sheets look so cozy. What a great post for making your home ready for fall! What great ideas! I love cozy fleece blankets! My house is currently curtain-less but I'd like to get some insulated curtains! For now I just have blinds. 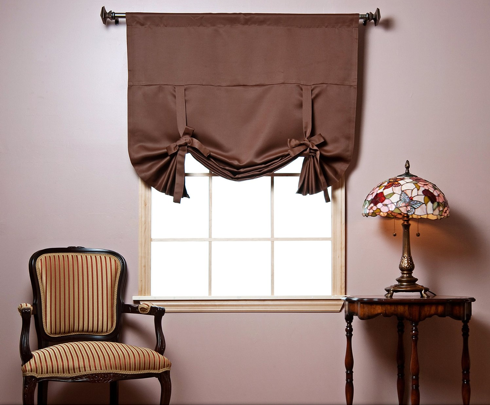 Yes, I just have blinds now, too, and it is driving me crazy - but window treatments can be so expensive! There are few things that I love more than flannel sheets during the winter. Soo cozy! Yes, and if you live in the north, so necessary! 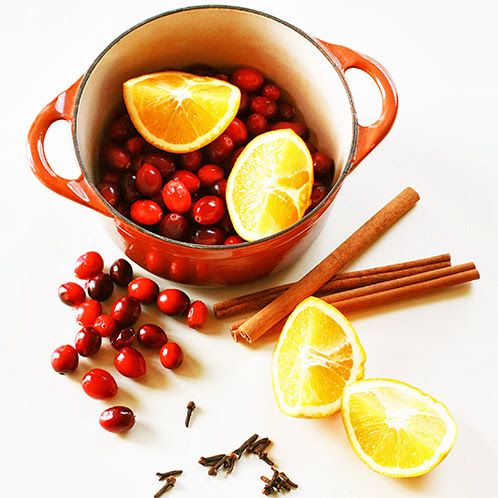 I have always wanted to try stove top potpourri, I will have to give that a try! Definitely going to try that stove top potpourri!! Such a great idea, I can already smell it! I have the electric heater and love it. A bit noisy, but it does the job well. I don't need it here in Texas, so it's unfortunately sitting in storage. I think I bought it off QVC, for around 100.